Well, I was quite excited about this until I read down further to see that vouchers could be redeemable at restaurants, such as local curry houses. Restaurants have to be one of the biggest wasters of food in the country! Plus, I have no desire to spend my well earned vouchers eating out; it’s not something I choose to do as a ‘reward’ for myself……..
Well, the idea is cooking nicely, but somewhat half-baked so far! The idea of vouchers for reducing landfill waste is good, but they should be redeemed against your council tax bill, once a year. That way, we get to choose how we make the saving and not coerced into yet more consumerism in the local curry house! Keep going George Osborne, you’ll get there. This story is very interesting and is one that I commented on on Three Counties Radio this morning. It’s always good news to introduce schemes, but we mustn’t forget who creates the need for a lot of the stuff that needs to be recycled…i.e.the manufacturers. Also, it’s not a “one-size-fits-all” solution. 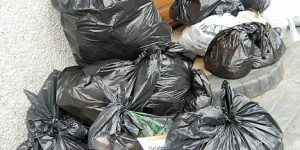 Some people are not motivated by financial incentives and others don’t have access to the recycling facilities required. But as Mr Green says, we’ll get there, especially if people start choosing zero waste products, companies use materials that can always be recycled, local authorities make available the right facilities, the technology is available for processing the materials and consumers are motivated to do their bit.